TV stations like to run marathons during holidays and this TV is no different, so I hope you enjoy the Femulate Your Favorite Photo (of Yourself) Marathon through the holiday weekend. Attached is a photo of me; I would be honored if you posted it on your blog. It was taken by Katie Wannabe, who used to run a TG/TV/CD makeover studio north of Philly. She has since moved to Florida. I went to her for makeovers whenever i could, even though she was quite a distance from me. Her salon was upstairs from a 'regular' salon and she also had GG customers. On this particular visit, she did my nails (acrylic tips and polish), makeup and wig-styling. Then we went to a fashion show that she was hosting for all of her clients and I was one of the models, who were all Femulators. I wish I had photos of the show itself; I must have modeled about four or five outfits. The audience was other TG/TV/CD Femulators and a mixed crowd. This was taken in October of 2003, but it's still my favorite photo of me en femme. I have a few others that are also among my favorite from that day: one full-figure, outside holding a purse in a very lady-like manner. It's in my photo album on flickr. In response to my open invitation to send your favorite photo along with the story behind it and the reason it is your favorite photo, I received a lot of photos and stories that I am posting in the the order I received them. My invitation still stands, so don't be shy, send me your photos! Just me in the quintessential little black dress, though blinged up with sequins. I'm at our TG support club, Xpressions in Toronto annual Christmas party back in 2002. I like that my smile is subtle, ‘cuz I'm usually grinning like a Cheshire cat in most of my other photos. Our Christmas parties have always been great since you get to really dress up… from gals wearing cocktail dresses to full ballroom gowns. A few club members will bring out their spouse and families to join us. Lots of dancing is involved too. Here is a photo which came out better than I expected. I wore this to protest the city council passing a law requiring landlords to take a class on how to run their rental properties. Never mind the fact many of us have been doing it for years. They decided to have the local police department conduct the class at the local college. I decided if I had to attend this asinine class I would do it as Jane. If anyone was to object, I would tell them I am properly dress to get ****** by them. Strangely, no one protested my manner of dress; I think they were afraid to protest. I did get many compliments and I think I did relieve the boredom of the class which lasted all morning. There was over 300 people at the class. I did fill out a questionnaire and I was not complimentary. I even got a call from the police department about it; they were not too happy with my comments. Like you have mentioned, we girls love pictures. They capture a moment in time when everything comes together as we had hoped with our look, a dress, make-up, and sometimes a great experience. I always dress to pass in public and have been doing so since 1979. The reason I picked the picture of me on the couch in the beige chiffon cocktail dress is simple for me. 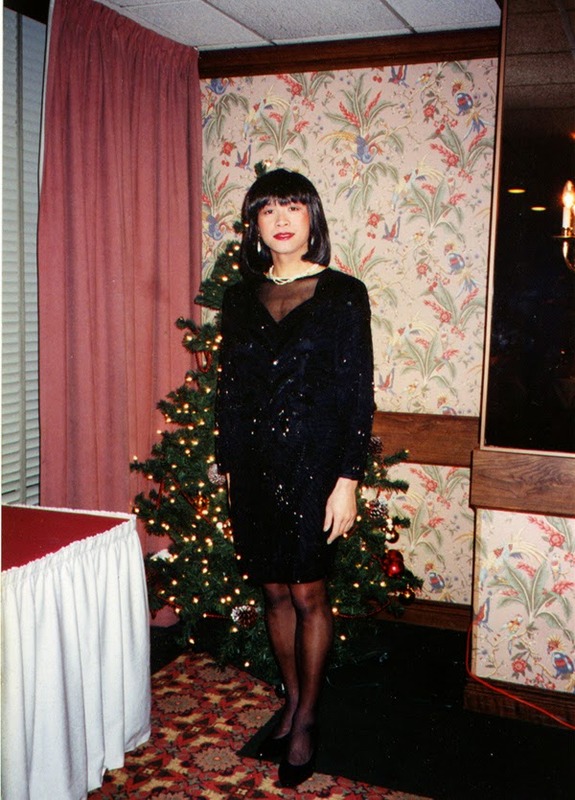 It is from a Connecticut Outreach Society Holiday Party In Avon (CT) around 1998 and you were also there, as pictured. It’s amazing but you still look the same after all these years. I had arrived early and was sitting just outside the dining area for our private party when others started to arrive. Eventually, a couple had arrived and it was somewhat obvious that it was a wife with her crossdressed husband. She looked a little uneasy, but I was also impressed that she had made the effort to accompany her husband to support him. She scanned the waiting area and when her eyes met mine, a big grin crossed her face. She said something to her husband and then left his side and headed toward me. She sat down beside me and introduced herself. I did the same staying in my character as Stephanie. She chatted that she was so nervous being here, but she wanted to support her husband. Then she said she was so happy that I was also here because she thought that she would be the only GG (genetic girl) at the party. At first she looked at me as to say, “Why would you come alone?” And then the realization of what I had said hit her. One of the dresses I bought at Fashion to Figure last week had a very narrow collar (see photo). Sans zipper or buttons, it was impossible to put the dress on without transferring some of my makeup onto the dress. I loved the dress and bought it despite the collar issue. But I did mention the problem to the sales rep and she offered a solution. Put the dress on before doing your makeup. Then put on a smock or old loose shirt over the dress to prevent the makeup from getting on the dress during application. In the past, I tried something similar with a towel, but the towel kept falling away. Now I can put some old boy mode clothes to good use. 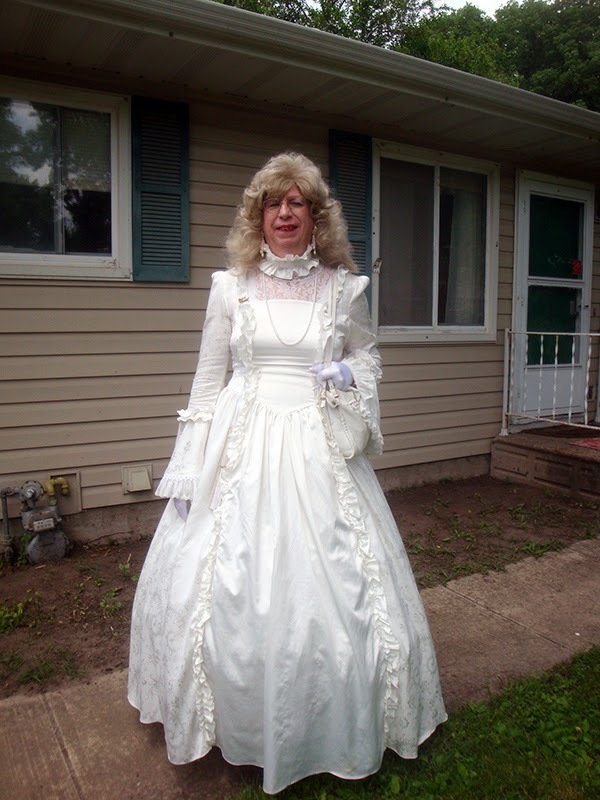 By the way, hand-washing the soiled part of the dress for about three minutes readily removed the makeup. Actor GerardMcCarthy (left) femulating in British television’s Hollyoaks in 2006. In response to Wednesday’s Lemonade post, Janet Lynn Stickney wrote, “The sour sounding article that was published here does not, in my opinion express the truth or anything even close to the truth. Except one thing. The writer was absolutely correct about hair length. “First, I am approaching age 70, and have been going out since I was 12, and I have the pictures to prove it. I was around back when Virginia Prince started her sororities called Tri-Ess. Lets say... 1963, which gives me some insight to the progression of our community. The suggestion that we throw away the cameras is short sighted, demeaning, and without the slightest bit of merit. I myself use a camera to help me better my presentation. “I have the pleasure to say that I was the very first director of the first Be-All convention, and after that I was involved in 9 more in some capacity. Which means that I have seen all levels of competence of how we present ourselves as females. Some of us are quite lovely, some not, but the drive to present ourselves as females is exactly the same for all of us. “I will also add that not once have I seen a sister be asked to leave a meeting, a convention, or an event for lack of talent in her presentation. Every single group that I know of accepts us all, regardless. Is help offered, yes. Is it done with a kind word, yes. But they are us, and we are them, and if nothing else, the transgender community accepts everyone like us, offering friendship and a smile. In response to the Comments to Wednesday’s Lemonade post, the writer of the original e-mail that precipitated this (Paula C) wrote, “I wish that I had been able to understand what your correspondent ‘Unknown’ was on about and how to reply to his comment directly but the system beats me. We have a word – a phrase - in English ‘Gobbledy – gook’ which is a kind way of describing rubbish. I have no bile (that’s one of the few words I understood) in me and it is a breath-taking arrogance to presume that there might be! Just because I dared criticise. “If nothing else; please try and explain why firstly so many TV’s take photographs of themselves in such extraordinary quantities and then, to me, incomprehensibly, want to display them to the World and his Wife. It is deviant behaviour and plays no part in real life if one is a woman. I feel SO sorry for those who so far have submitted their photos which they are proud of. What do they really see when they look at themselves, I have to ask? Femulating at the Porchester Hall drag ball in London, circa 1985. I actually find that as I grow in self confidence and am spending more and more time presenting my true self to the world I am taking less selfies. Keeping a blog going is like feeding an angry animal in the way it consumes photos and all too often, I forget to take any. I think this is my favorite photo. It's not a sefie but one taken by my friend Justin David, a photographer, writer and generally very clever boy. It was part of a series he took as publicity shots for my orchestra, the London Gay Symphony Orchestra. I am the only trans member of this particular LGBT group and was very pleased to be asked to be part of the photo series. 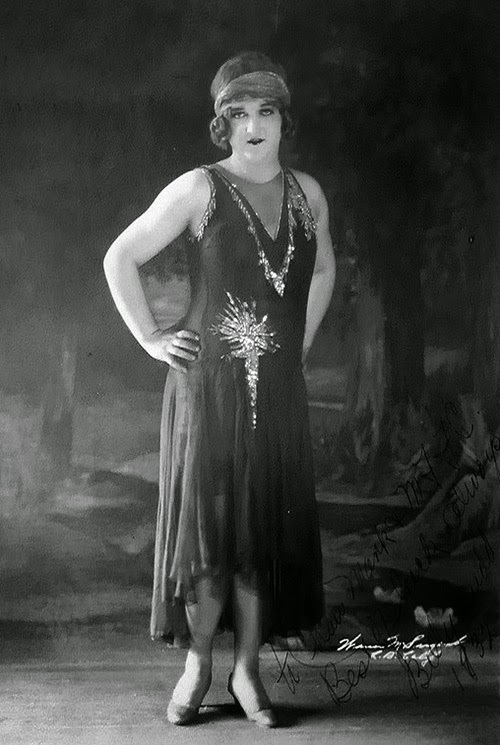 We were asked to wear something that we thought was elegant or our idea of stylish; I went for this backless evening gown which was a bit odd at 11 o'clock on a Sunday morning. I love the way the photo makes me look comfortable, confident and happy with myself. 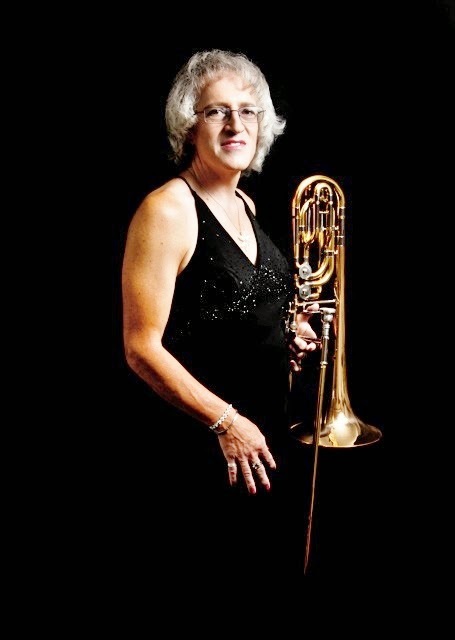 I like the black dress against the black background, so I almost seem to emerge from the blackness and I love the sparkle from the dress bodice and the shine of my trombone (precious). This was one of the first photos ever taken of me,and certainly one of the first after I started to wear my own hair, so in many ways, it is a very early photo showing the real me, no disguise, no hiding, no trying to be somebody else, just me and my trombone. In response to my open invitation to send your favorite photo along with the story behind it and the reason it is your favorite photo, I received a lot of photos and stories that I am posting in the the order I received them. My invitation still stands, so don't be shy, send me your photos! And by the way, there are currently 20 girls' photos in the queue. Wearing Light in the Box. 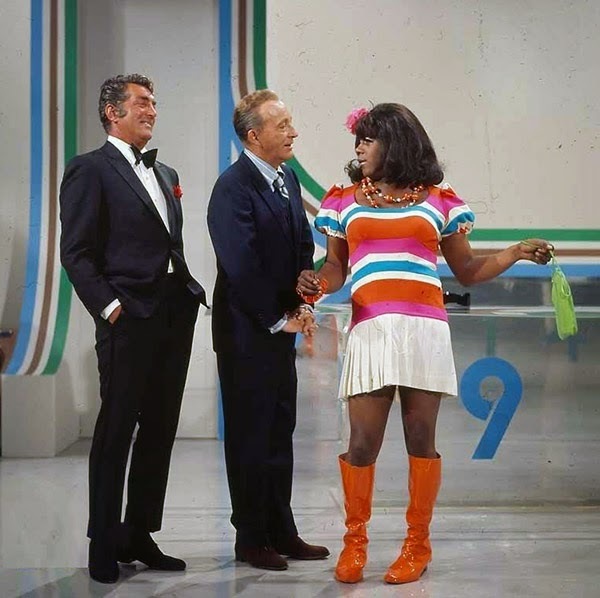 Comedian Flip Wilson femulating on television's The Dean Martin Show in 1967. People have asked about what I wrote in my previous post, specifically "Wednesday was going to be a very big day out en femme for me. I was going to take the train to New York City to attend a conference with my boss and her boss: three business women in The City for the day." No, I have not started working full-time as a woman. Wednesday's trip to NYC was going to be a test for me and my bosses. I wanted to prove to them that I am a woman and not an embarrassment, so why not test that notion outside the office and amongst the general public who are not accustomed to my Halloween custom. I was very disappointed that that opportunity was lost. Perhaps another will arise soon. My Wednesday out en femme continued at the West Farms Mall, which in my opinion, is the premier shopping mall in Connecticut. When I was doing my makeup Wednesday morning, I noticed that my bottle of Avon-brand liquid foundation was at its end. I also noticed that the Smashbox eye shadow primer I use was nearing its end, so it was time to restock and Sephora was my first stop at West Farms. I quickly found the eye shadow primer, but I was overwhelmed by the huge selection of liquid foundations on display. Foundation brands and types were not as big an issue as was color. I have never been confident of the colors I use; I know my color choices are in the ballpark, but I want to hit a home run, so I asked one of the sales reps for assistance. Filomena walked me over to the Sephora + Pantone Color IQ display where she used a handheld camera-like device to determine my color, which turned out to be medium beige. The result was entered into the Color IQ iPad and it displayed all the brands of foundations that were available in my color. I selected the Make Up For Ever HD Invisible Cover Foundation. My foundation color choices were always in the lighter than medium beiges, so I will be anxious to see how I look in my corrected color. I exited Sephora at noon and decided to have lunch. Like most malls, the dining choices are mostly of the fast food variety, but I noticed a new-to-me restaurant that seemed to be a few notches up from the usual mall fare: Brio Tuscan Grille. As soon as I entered Brio, I knew my estimate was correct. It was a very well-appointed restaurant and most of its clientele were well-dressed business people. I fit right in! I was seated quickly and an attentive waitress could not have been nicer to me. She helped me select a glass of wine by providing two samples and I selected a 5-ounce filet with grilled veggies from the menu. It was delicious. The rest of the staff treated me like a lady and the other diners ignored me like an old lady. After finishing my meal, I needed to use the ladies' room and one of the staff pointed me in the general direction. The problem was that when I arrived at the facilities, the names of the restrooms were in Italian. It turned out I made the correct choice, but I have to admit I was a little worried while sitting on the toilet trying to figure out which direction the shoes of the person in the next stall were pointed. I am sure they were pointed the wrong way, but maybe they did not know Italian either! After dining, I browsed the racks in Lord & Taylor and Nordstrom and after getting over the sticker shock, I visited the Apple store to ask a genius a question about the iPad mini. My feet were holding up very well after six hours in 3-inch heels, but I was done shopping, had bought more than I intended and decided to call it a day en femme. Home by 4 PM, I kicked off my heels and reflected on my day. Actor and professional femulator Jim Bailey in the 1987 film Penitentiary III. I received the following e-mail yesterday. I am a life-long TV, so I feel able to comment. Throw away the cameras and look long and hard in the mirror. Look at the women around you; you should blush with embarrassment. Cover your shoulders and knees and get rid of those “long luscious locks.” Very few women over 40 look good with long hair. None of you (and me) really look anything like women and that is a tragedy. By the way, I have no photos of me. The last that were taken were 30 years ago for an article in The Times. No! It was 40 years ago – time flies. Stop being delusional. A mirror does not lie except at a fairground. Look at the professional femulators and actors. Even they with all the advantages – professional makeup, expensive wigs, etc., are rarely convincing and face the reality of a cruel life. We’ve all been dealt a lousy hand! My response: When life gives you lemons, make lemonade. That is especially true if you are a male-to-female transperson. We have a lot going against us. Compared to the quintessential woman, we do not compare favorably. We are too tall, too heavy, too wide, too hairy. Our voices are too deep, our faces too masculine, and our bodies too unshapely. We are just too too. So should we all hide in the closet because we don’t resemble the quintessential woman? Just like my trans sisters, there are cisgender women who don’t resemble the quintessential woman. Nonetheless, we are all women and we try to make the best with what we have. And by the way, the mirror does lie. I always look fab when I look at my femme self in the mirror; to see what I really look like, I take a selfie. ad nauseum - a Latin term for a discussion that has continued so long that it has continued "to [the point of] nausea" (Source: Wikipedia). On my desk at work is a framed photo of me at work en femme on Halloween in 2012. It serves as a reminder to me of who I really am and is my way of virtually going to work every day en femme. During the two years that that photo has been on my desk, only one co-worker has ever commented or asked about it and their question was an innocuous, "Who took the photo?" I am not sure what that says about me or my co-workers. Maybe my co-workers suspect that something is going on with me, but are too polite to ask. Maybe my co-workers suspect that something is going on with me, but are bored with it, so don't ask about it and just wonder what is taking her so long to move on with her life. Maybe my co-workers feel that it is none of their business or maybe they just don't care. Regardless, it will be interesting to hear my co-workers thoughts on the matter after the fact. 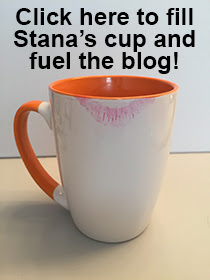 I appreciate all your concerns that you e-mailed me or left as comments to Thursday's post. I believe that I have everything covered (read my replies to your comments) and there is only one thing holding me back: telling my wife. That one thing holding me back is a big thing and I am carefully strategizing how I am going to handle it. Haste makes waste, as they say, but on the other hand, I am ready to burst and need to resolve this soon. Actor Hemmo Karja femulating in the 2014 Finnish film Nightmare 2. For me dressing and passing are a bit of a challenge. Like you I’m 61, but I’m also on the heavier side and therefore, I always try to look like anybody’s wife / sister / mother / neighbour, etc. I kind of pass well only because I don’t call any attention to me... until I open my mouth... my voice is a dead give away! 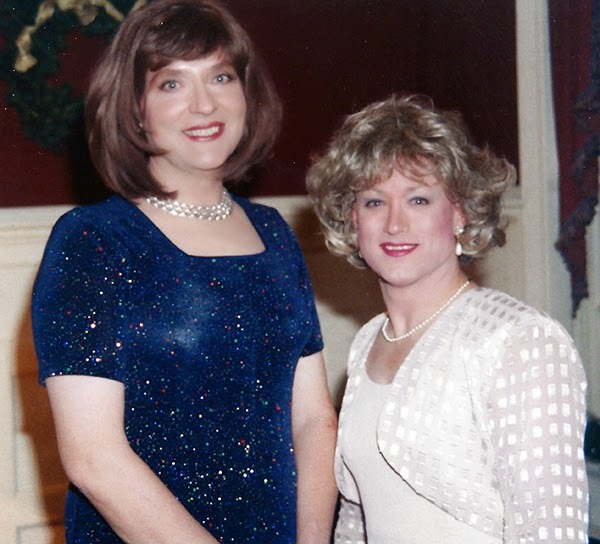 A few years ago I was a board member for a local crossdressers’ club; I was in charge of organizing the social events. We were trying to organize a fall weekend in a small town some 150 km east of Toronto. Many believe that small towns have closed-minded people and therefore it is best to stay away and the only way for me to find out was to actually visit them. It was an unexpectedly warm, humid spring day and I was dressed way too warmly. When I arrived to the local hotel (it has about 25 rooms), initially the manager gave me that quick look women have for other not-too-attractive women, but she was very surprised when I began to explain why I was there. She actually pulled me to one side away from the front desk and I thought, "OK, she is going to tell me to go away," but much to my surprise, she wanted to know where had I bought my dress! This lady has become a very dear friend to my wife and myself and that is what makes this photo my favourite. We have been back so many times that I’m also on a first name basis with the hotel owner, who is very careful to address me by my name and with the proper pronouns depending on whether it is me or my alter ego. The local businesses and restaurants always treat me well, our friend loves to come shopping with us and club’s weekend event also was a blast! In response to my open invitation to send me your favorite photo along with the story behind it and the reason it is your favorite photo, I received a bunch of photos and stories that I am posting in the blog on an irregular schedule. My invitation still stands, so don't be shy, send me your photos! Vse Smeshalos V Dome (All Mixed Up In The House) (2006).